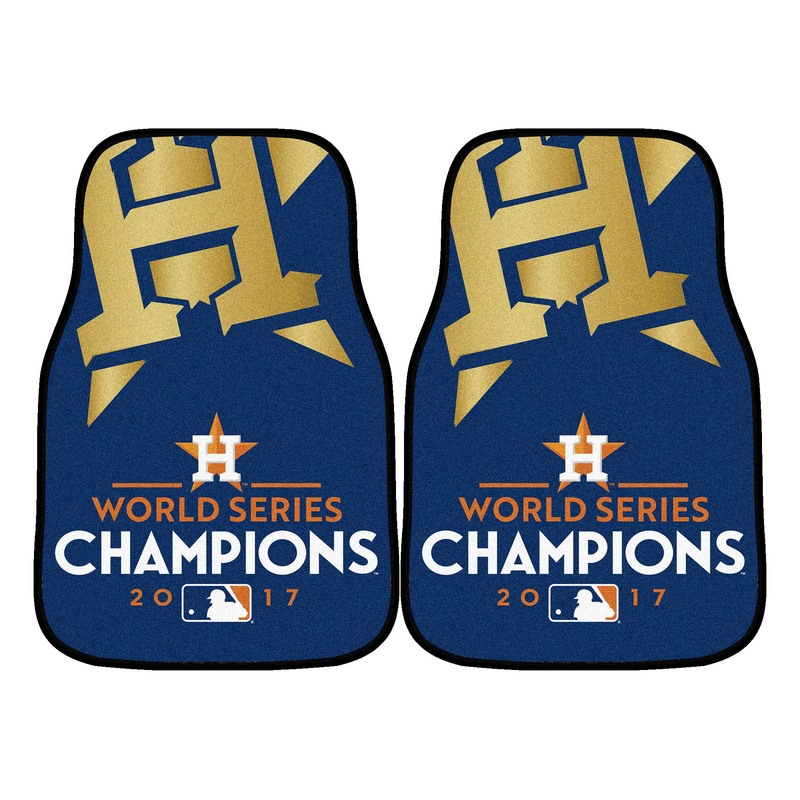 Do you want to show all of your friends that you are the ultimate fan of Houston Astros 2017 and celebrate their win in the World Series? Then start off by getting a set of carpet car floor mats for your car. Every time your friends get into your vehicle they will see these beautiful crushed nylon carpet car mats sporting your teams' logo and World Champions wording in stunning chromojet printed true team colors. 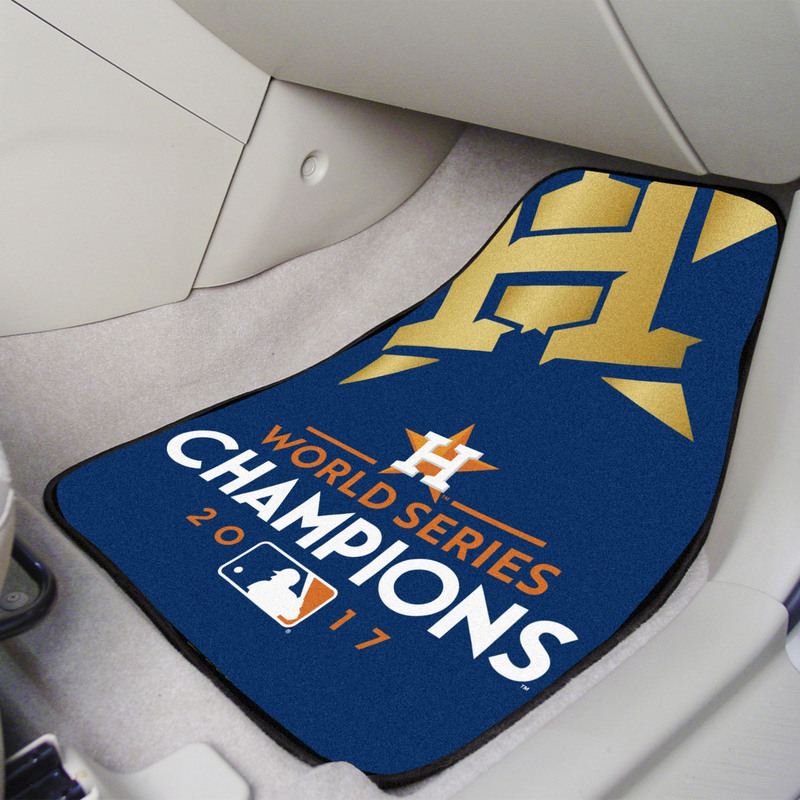 The Houston Astros 2017 Wold Series Championship Carpet Car Mats are 18" x 27".